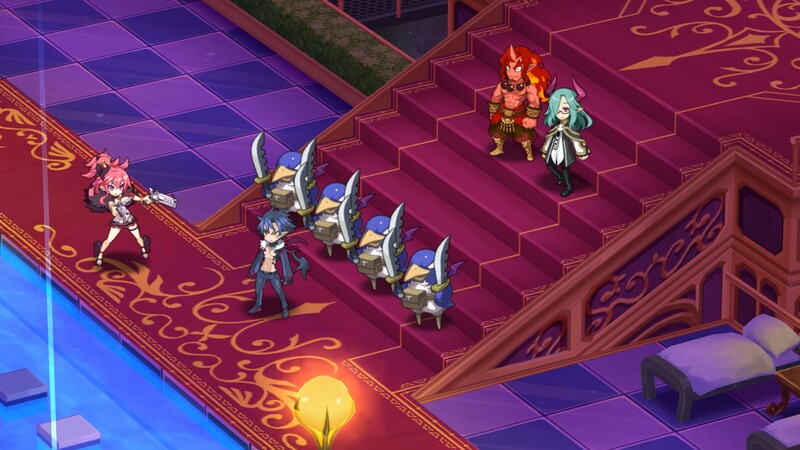 The story, as with each Disgaea game, is a mix of anime/JRPG tropes, soap operas, and good old fashioned fourth wall breaks. The netherworld is having a civil war, and a mysterious demon named Killia is out to kill the ruler: Lord Void Dark (I didn’t come up with the names). What follows is yet another stylish excuse to have SRPG battles. The basics of the series are still here: You will lead either named characters who join you through the story, or generic ones that you create into various battles. Each class is unique in terms of their stats, preferred gear, and evilities (passive bonuses). As characters fight, they’ll level up and unlock new weapon and class-specific skills to use. With that said, a real fan of the franchise knows there is a lot more in terms of sub-systems, and Disgaea 5 has those in spades. 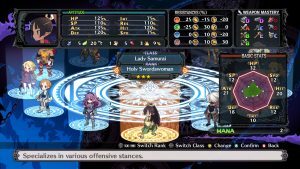 The title of this section was not a joke — The Disgaea franchise is famous for having a never-ending amount of ways to grind and power your characters up. If you just want to play the game for the story and SRPG combat, that’s about 30 hours or so of play. However, there are hundreds of more hours delving into the game’s additional systems. And again, each system mentioned is entirely optional if you just want to play the game for the story. Making use of them will completely break the main content, and that’s always been Disgaea’s M.O. So much of the complexity of the franchise is hidden under the layers, and outside of the game introducing the system, it will not be brought up again in the main story. 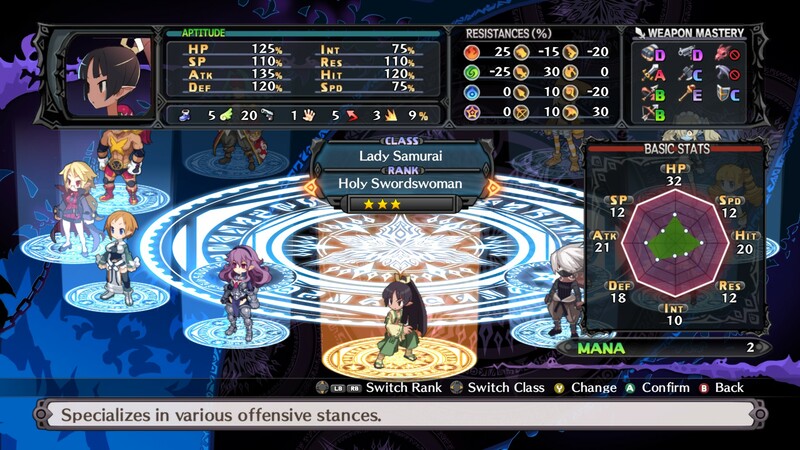 With Disgaea 5, the developers have taken a more measured approach to unlocking these systems. They are introduced throughout the episodes; giving the player a chance to see how they work before deciding whether or not to make use of them. This is a far cry from the original Disgaea that just unlocked everything within the first hour of play. Another point I want to praise the developers on is for having a lot more named characters in Disgaea 5. Through the quest system and story structure, a player will get enough characters to join that they may never have to go to the create a character screen if they don’t want to. 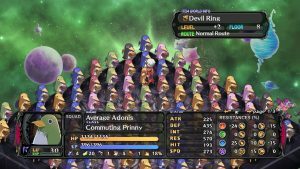 As with every game in the series, each new entry becomes a great starting point for players, but I still feel that Nippon Ichi hasn’t solved the biggest problem with its design: Making the player care about grinding. Disgaea’s design reminds me of a buffet: You’re going to get a lot here, but there really isn’t a lot of value. Every element of Disgaea’s sub-systems are designed to go back to the game’s SRPG foundation. The problem is that foundation simply isn’t that engaging to play. The enemy AI has not been enhanced over the five games — with enemies either waiting until you’re in range or just all of them charging at you. Each game tries to tweak certain elements of the progression to make it more prominent, but again, none of that matters to the basic gameplay. The most complicated levels are the ones that make use of board-effecting “geo panels,” but that’s been there since the first game. 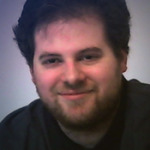 There’s simply no connection a player can make from just playing the game tactically and just breaking it all with the various sub-systems. Each game does have extensive post-game challenges, but you’re just doing the same things with higher numbers. Any attempt at advanced play with using status-effecting skills, tactics on the field, or coming up with new strategies, is simply moot compared to just doing billions of points of damage. This is not the case where a greater understanding creates emergent gameplay like in Breath of the Wild or Factorio; it’s simply making use of higher numbers. 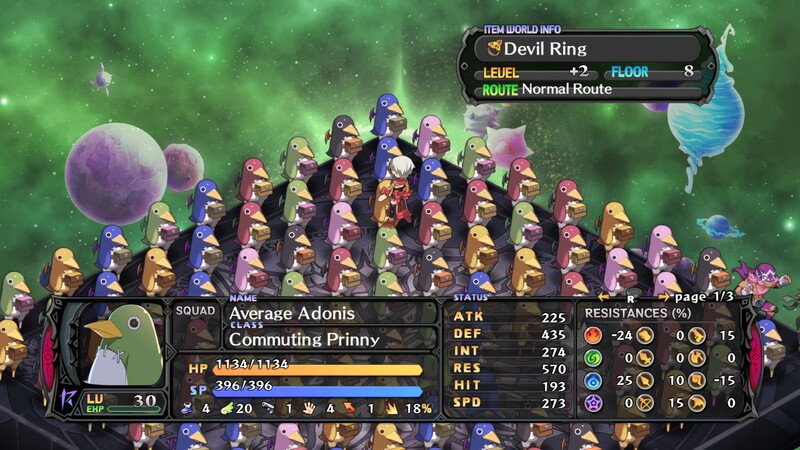 Experts at Disgaea have gotten grinding and power-leveling down to a science which removes any greater depth. It’s like the developers have given up on trying to court more players over to the power-leveling side, and leave the game feeling like two separate experiences. That’s not to say that Disgaea 5 is bad at the design level — If you’re a fan of the franchise, there is more to love here. However, I would love to see a game that makes the player want to learn all of its systems and be rewarded via the gameplay for doing so at this level. Disgaea 5’s design and fandom are entrenched at this point. If you love the franchise and have hours of time open, then welcome back to the number hunt. Like I said at the start, this is a game that you get back what you put into it, but I just don’t know if I have it in me to go several hundred hours deep into this game.